Times are very hard, to be sure, and as I am now working in the fundraising department of a radical transgender rights oriented organisation I’m seeing yet another dimension to the endless Great Recession unfolding before me. Simultaneously, what I am constantly astonished by is how people in the most economically disadvantaged communities always manage to find a penny here and a penny there to help their sisters, brothers, and siblings in need. We’re out there looking out for each other and that never fails to give me hope. It sounds a tad bit cheesy, yes, but for all of my snarky sarcasm and the like, I’ve always put a lot of stock in that gift from Pandora’s Box. It’s a precious resource in the trans community. So, what am I waxing all poetic about and what not? Well, this time around I’d like to solicit you all to fundraise for a charity near and dear to my heart– so much so that I’m actually working for them. 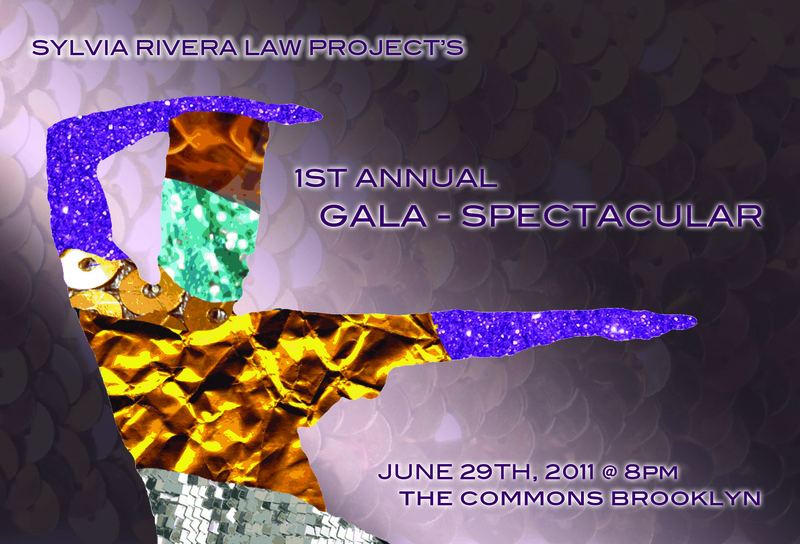 The Sylvia Rivera Law Project, an organisation for low income trans people of colour, has radical aims that dovetail with the themes I often speak of on this blog. It is hard to imagine a better organisation for me to devote my time and energy to. Indeed, it’s part of why I’ve been a tadbit too busy to write these days. But it is the Goddess’s work and it feels decidedly good. I’ve been pretty busy helping with the organising and the fundraising that an event like this requires but for the moment I’ve been given a pet project and if any of my readers are interested in doing a spot of good then you can hop on over to Indie GoGo and check out our online fundraiser leading up to this gala. Please feel free to contribute, but if you don’t want to or are unable to, then I encourage you to pass the link along to any friends, colleagues, allies, and so on who may be interested. With initiatives like this every dollar helps. My work here has been, in no small measure, interesting and a crash course in many things. But it has, above all, been a beautiful insight into the community that my sisters, brothers, and siblings have forged and of which I am proud to be a part. I’m not the kind of woman who is easily persuaded into advocacy and I would have never offered my blog as a place to help our fundraising efforts if I couldn’t say the word “our” with confidence apropos SRLP; if I didn’t feel a sense of ownership, a sense of community, I’d have never mentioned my blog. But I did so eagerly because SRLP isn’t just where I work. It’s a workplace where I can be out as a trans woman without the slightest second thought, and it’s a place where all of the markers of isolating distinction and discrimination do not count against you. A place where I could seek support from everyone on staff when I experienced a transphobic incident a couple of weeks ago. In sum, I do believe in SRLP and what they do; they practise what they preach and I love them to bits. They are that rarest of organisations that will make my usually cold onyx heart melt and go all mooshy. This is one of only a few nonprofit organisations that reflects the radical vision I have; radically gender equal and positive, feminist/anti-patriarchal, and as much as possible a non-hierarchical organisation that constantly militates against forces compelling them to sell out. As much as possible, I can say with confidence having seen things from the inside, we really do try to ensure that the trans community has ownership of this non profit and that we are never beholden to the powerful or the “great and good.” Small donations from (yes I’m using the PBS phrase here) people like you make that radical goal possible. Okay I’m done being all sappy. If y’all are generous I may throw a slug comic up here soon when I get home. Thanks in advance.